Deciding whether you should look into power lift recliners or not can be a tough decision. You probably have a few questions if you have thought about power lift recliners or lift chairs at all. Are lift chairs just for people with bad knees? I have people to help me get up, does this make a lift chair less useful? Is the only upside of a lift chair the lift? These are all common questions (answers for those curions: no, no, no) but, as usual, the answers you’re looking for depend on your situation. There are, however, a couple telling situations you may find yourself in that a power lift recliner could help with. If you find yourself having trouble standing up after sitting on a chair or couch for a while, a lift chair may be a big help. Power lift recliners have motors that run (or stop) at the touch of a button. The motor raises the chair and can be stopped at any point, allowing you to get up whenever you feel comfortable. Lift chairs don’t lift straight up (although some can be factory modified to do so) but at an angle. The lift mechanism tilts the chair forward, giving you a bit of slide room to stand up at your leisure. If any of those features sound like they would be helpful to you, checking out lift chair details may be in your best interests. If you spend a large portion of your day in the same chair, upgrading that chair may be just what you need to make life more comfortable. Power lift recliners are built for comfort as well as utility. Most lift chairs have nap-style settings, allowing you to rest comfortably in your chair. Many people rely on family members or caregivers to help them up from chairs. If you are in this situation but would like to be a bit more independent, a lift recliner can help. Being able to get yourself up at the press of a button can make life more convenient for you and those around you. If you have a two-story home, it may be difficult for you to get upstairs to your bed some nights. Would it help if you could comfortably sleep in your chair? I thought so! Thankfully, many lift recliners are available with sleep settings, allowing you to recline into a sleeping position. There are many varieties of ‘sleeper’ chairs, so trying out some of the models before you buy is always recommended. Some power lift recliners even have custom made pills, giving your head extra support during naps. If you get tired or run out of breath easily, it may be time to look at your daily routines. If you do a lot of sitting and standing, a lift recliner can help you conserve your energy for more important things. Constantly standing up and sitting down is very taxing on bad knees, bad ankles, sore feet, and other conditions, so having a helping hand is a huge plus. Power lift recliners also allow you to ease yourself into a sitting position. What I mean by this is that you ‘lift’ the chair into its highest position, sit on the angled chair, then allow it to slowly guide you down. The amount of stress a power recliner can take off your daily workload can be life-changing. If you regularly ask the questions or experience the situations in this article, call a local medical supply store today. There are a lot of styles and models to choose from—having someone guide you from the start is the best way to find what you need. 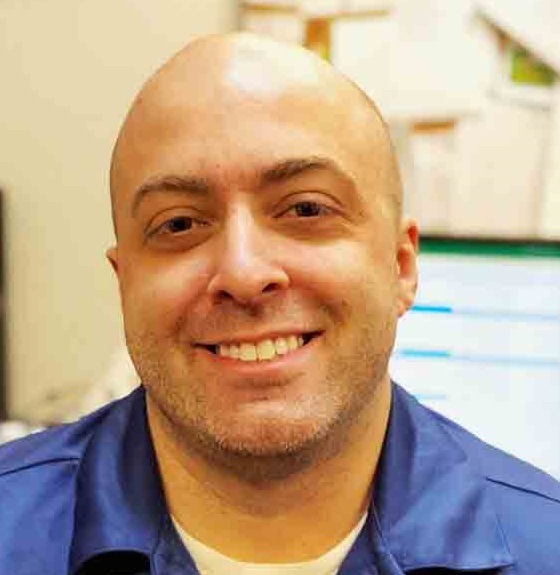 You can always give our home medical equipment team members a call if you are in the Naperville area. If you have questions and would like to see pictures, shoot us an email. And don’t forget to stop by our Medical Equipment Showroom if you’re in the neighborhood. 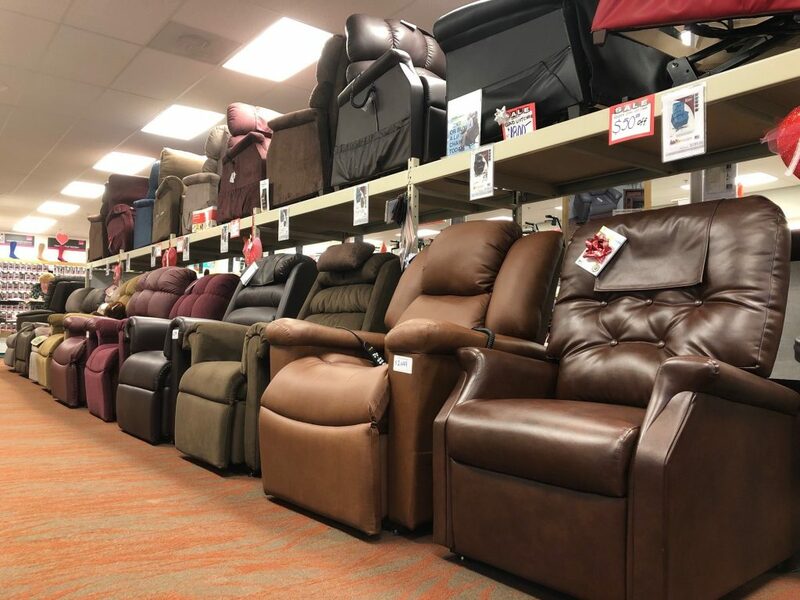 With over 20 chairs on the floor, plugged in and ready to go, we’ll help you find what you need!